A year-around call that makes the common bleating sound of deer as well as the more plaintive bawl of the lost or frightened deer. 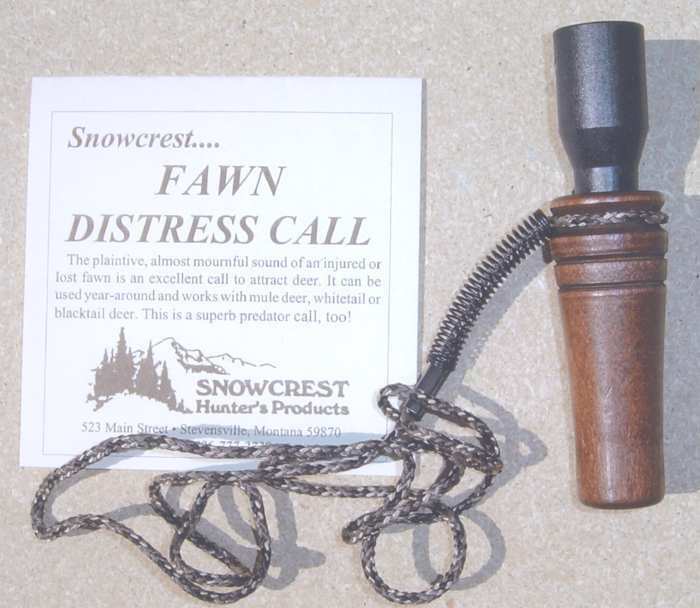 Works with mule deer, whitetail or blacktail deer – and this is an excellent predator call, too. Constructed with a solid walnut muzzle to create good sound. 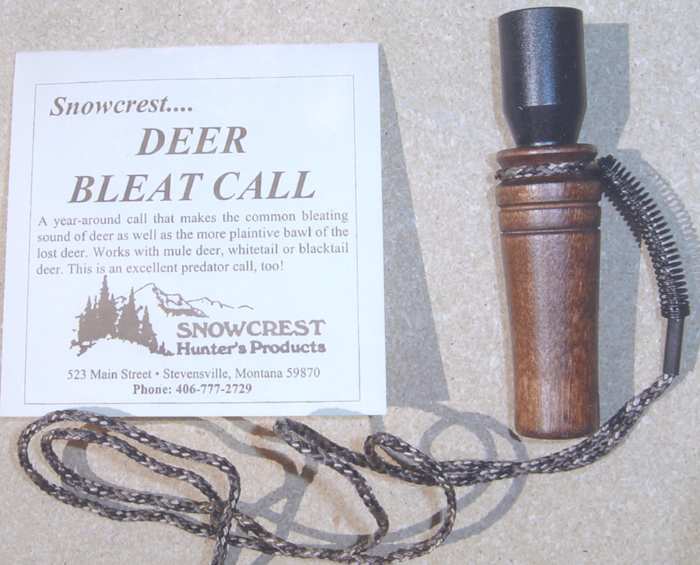 The bleat is made by does, bucks and fawns, often as a means of calling one to the other – either as a call urging another deer to come to the calling deer, or as a means of letting another deer know where the calling deer is. This call can be used any time of the year – the only caution being that you should not over-use it or try to be overly-aggressive when making the call. To make the bleat sound, just blow into the tube to achieve the melodic bleat. With practice, you can extend the sounds to almost whining, bawling sounds which deer often making when separated from each other and are trying to reestablish communication with one another. This is an excellent predator call. Comes with a lanyard.